In In re Certain Magnetic Tape Cartridges and Components Thereof, 337-TA-1058 (ITC October 2, 2018, Order), Administrative Law Judge Cheney ruled that even if a respondent is estopped from raising certain invalidity challenges because it failed to raise them in a previously filed IPR, the Office of Unfair Imports Investigations Staff (“Staff”) can raise those very same challenges. On July 27, 2016, Sony Corporation (along with some affiliates, collectively, “Sony”) sued Fujifilm Holdings Corporation (along with some affiliates, collectively, “Fujifilm”) for infringing a number of its patents, including U.S. Patent No. 6,979,501. Sony Corp. v. Fujifilm Holdings Corp., No. 1:16-cv-5988. Fujifilm responded by petitioning for inter partes review. According to Fujifilm, the ’501 patent was anticipated and rendered obvious by a number of prior art references. The PTAB instituted review on all grounds, but it ultimately upheld the ’501 patent. Fujifilm Corp. v. Sony Corp., IPR2017-00360, Paper 40 (PTAB May 16, 2018). Meanwhile, on April 28, 2017, Sony also filed an ITC complaint alleging that Fujifilm infringed a number of its patents, again including the ’501 patent. Fujifilm argued that the ’501 patent was invalid over the same references as before—plus a number of new prior art references. In their briefs, Staff agreed with Fujifilm that the patent was invalid. In his Initial Determination, ALJ Cheney did not address the question of “whether 35 U.S.C. § 315(e)(2) estops Fujifilm.” Regardless of whether Section 315 “estops Fujifilm,” it “does not prevent Staff,” who were never involved in an IPR. According to Judge Cheney, “the statute does not prevent Staff from raising the references in this investigation.” On the merits, Judge Cheney concluded “that Fujifilm presented clear and convincing evidence” of invalidity based on the prior art, and he repeatedly credited Fujifilm’s expert. Op. at 108 (emphasis added), see id. at 112-119. He also concluded that the patents were invalid based on an on-sale bar, where “no estoppel applies” even as to Fujifilm. Just because a respondent is estopped from raising certain prior art as a defense to an ITC complaint does not mean the complainant is home free on validity. This case shows that ITC Staff can raise that same art themselves, and, it would seem, the ITC will give full consideration to the respondent’s arguments and experts. How district courts might treat the ITC’s decision remains to be seen. 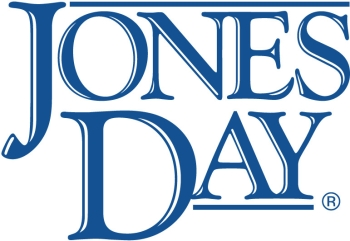 Jones Day - David M. Maiorana and Daniel Kazhdan Ph.D.